I was born in Guantanamo, Cuba on 30th November 1958 . My parents were farmers living in a deep verdant valley which was a four hour drive and a six hour walk from Guantanamo town. My father was Afro-Spanish and my mother native American Indian. I am the youngest of eleven children and was raised on the farm until my mother died when I was three. If she had lived my life would have evolved differently for they were self-sufficient and spent very little time away from the land. After her death my father and siblings managed until I was early school age and then, to help out, my fathers sister and her husband took me to live in Guantanamo with them. Pedro and Juanica, my aunt and uncle, had led a different kind of life which involved higher cultural and social expectations. 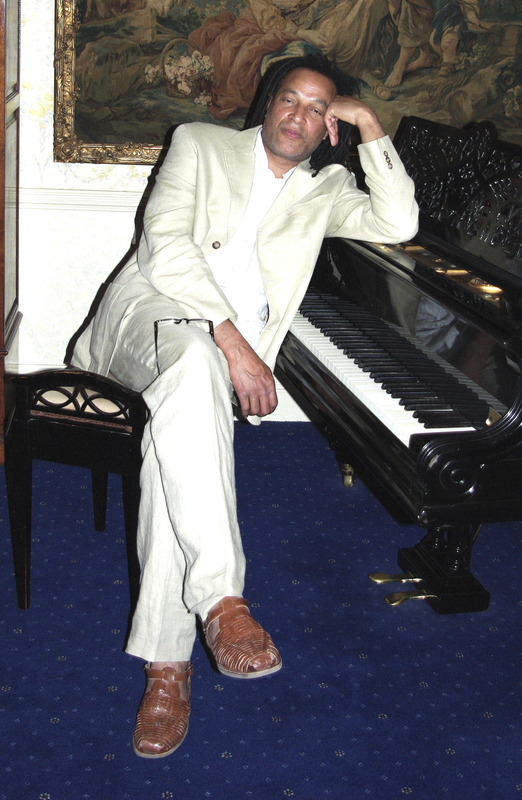 Pedro was a well known musician and composer in Cuba and spent much of his life touring with his band performing the songs he had written. I still had a struggle to be allowed to follow the path towards being an artist but it was slightly easier with them than it might otherwise have been. There were, at that time in Cuba , misconceptions about what it meant to be an artist particularly around sexuality. My family wanted me to be a lorry driver or something similar, earn regular money and live a life acceptable to their society. I hit plenty of obstructions; the first major one being when I was accepted at a special art school – I attended initially only for a short time because my aunt needed someone to do the shopping! I ended up leaving home at eleven and never really went back. My first memories of that period are at a naval boarding school. Early on the teachers discovered my ability to draw and used to get me to do chalk illustrations of whatever they were teaching on the blackboards. At fourteen I won a scholarship to study navigation in Havana and it was here that I began to meet the artists and critics who were to form my future. In 1975 I went to the Institute Martires de Artemisa in Havana where I met my first teacher Alberto Castro who became my mentor and friend. Here too I participated in student festivals and was drawn into rapidly broadening horizons. Between then and 1980 I also studied and painted with both Rene Portocarrero and Raul Martines in their studios in Havana . In the eleven years from 1975 I had twelve solo exhibitions of my paintings in Havana and the provinces of Guantanamo and Holguin . 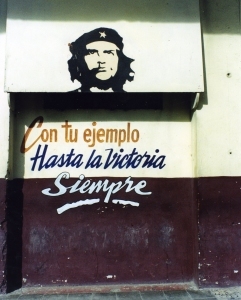 Castros Cuba provided me with a wide education and in return I (as also were other artists) was expected to take my skills out to the people in the countryside so that art could reach even those in the furthest corners of Cuba . We would travel as a group and visit outlying farms painting murals and being a resource for the people. 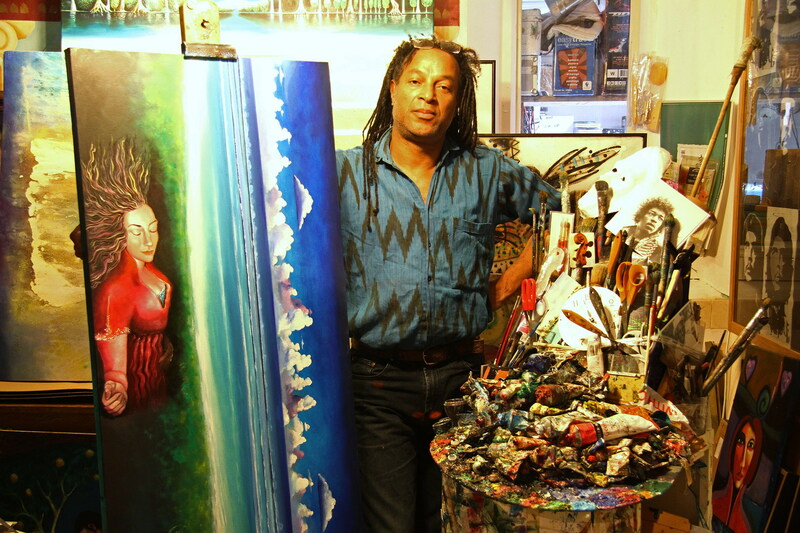 I joined the 10 th October Group – the Association of Young Artists in Cuba . Whilst a member of this I became a founder member of Rene Portocarrero Serigrafia (silk screen) Workshop sponsored by the Fondo Cubano de Bienes Culturales. Over the next four years in this part of my work I collaborated with people like Mimo Rotella, Rafael Canogar, Julio de Parc, Rob ert Rauchenberg (American Pop Artist) and Jospeh Kosuth. I also participated in the Second Biennial of Art in Havana and for two years was Director of the State Art Gallery in Santa Cruz del Nortes outside Havana . 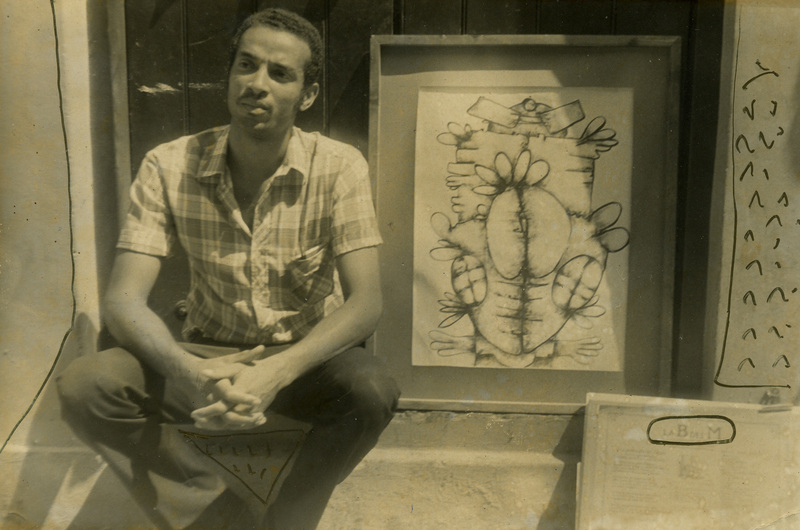 By 1986 I had had three more solo exhibitions in Cuba the last of which was at the Wilfredo Lamb Institute in Havana . I was exhibiting outside the country too in places like the University of New Jersey , USA . 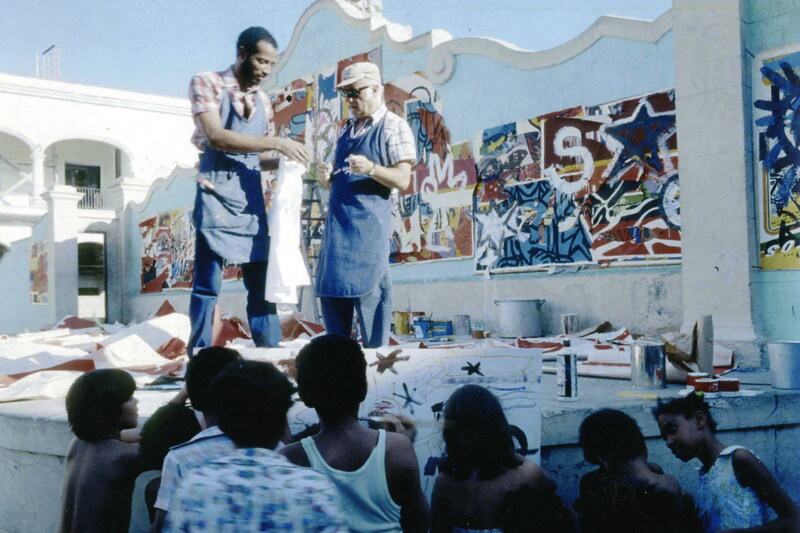 As an artist in Cuba we were not expected just to paint we had to be able to take part in performance art, to sculpt and to be able in the field of music. 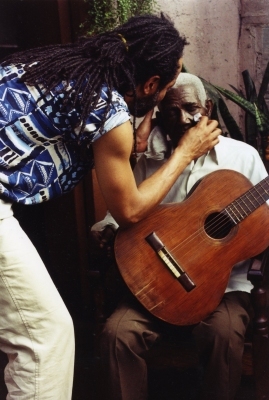 During the two years from 1987 I took part in visual arts collaborations with contemporary Cuban Jazz bands Mescla and Afro-Cuba at their concerts in Havana . I also participated in further projects for cultural revival in the mountains of Guantanamo and the restoration of Old Havana. As a sculptor I created a 10 metre work in iron for the Military School in Cienfuegos. In 1989 my life took an unexpected twist when I was introduced to a crew from BBC Arenas music and art series. They interviewed me as part of their documentary called Havana which was broadcast in April 1990. 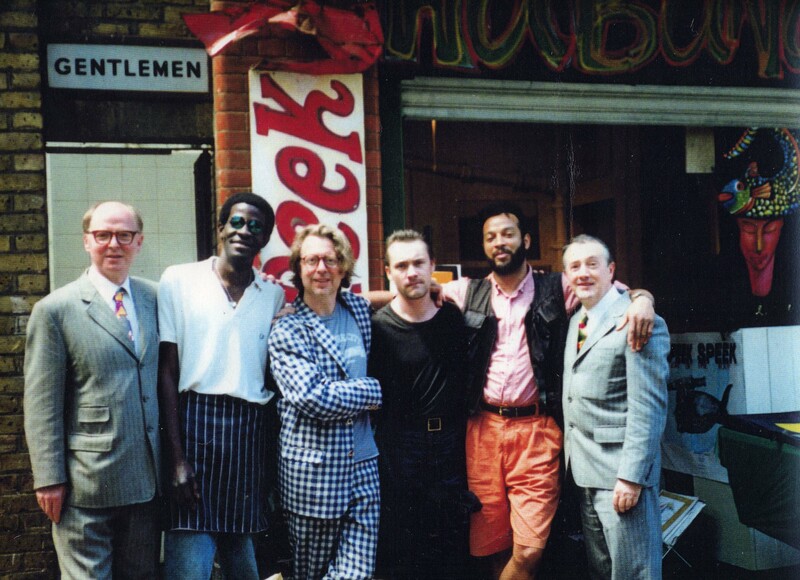 It was about the politically aware artists, poets and musicians of the time and resulted in me being offered a solo exhibition at Holland Park Gallery in 1990. I was invited to the UK for this but could not get an exit visa from Cuba . I didnt want to come out illegally because Cuba had been good to me. 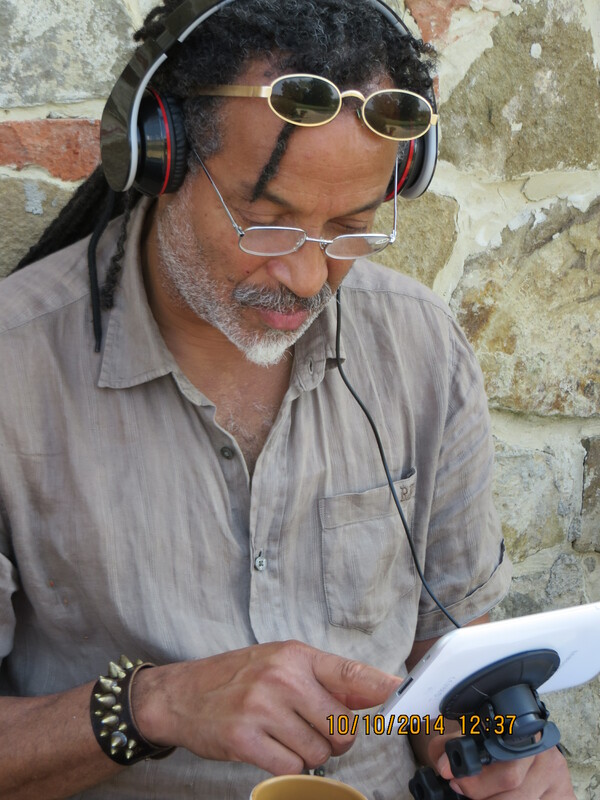 Whilst I waited for my exit visa I participated in the Encuentro International de Terracotta in Santiago de Cuba and in Encuentro de Artistas Primitivos at Mella. By the middle of 1990 my paperwork was on a slow journey through officialdom. One of my chief mentors was concerned for me for I spoke clearly about my beliefs and was often hauled off to the police station. He was for ever rescuing me. On a return visit to Cuba in 1999 this person told Heather that I just got out in time and I realised then that he must have been more worried than I knew. In 1991 I flew to London to stay. It was strange at first: there was so much choice everywhere – early trips to a large supermarket gave me a violent headache and a good deal of confusion. Initially I travelled around a good deal: Argentina , Brazil , Spain etc but the UK always drew me back. I gradually found my feet and married someone I had met in Cuba who helped me greatly as I began to settle. Patricia arranged English lessons for and me helped me through my first exhibitions and workshops here. She was also with me as I toured with an exhibition of the top 24 black contemporary artists through Gran Canaria and Spain . Unfortunately our relationship did not last but I shall always be grateful to her and have happy memories of that period of my life. The break up of our relationship was traumatic for both of us and I found it hard to create for a while but eventually my work found a permanent home in the ever changing atmosphere of Spittalfields. It was here that I met artists like Gilbert and George and Damien Hirst and it was here too, a year later, that I met Heather whom I married four years later. Spittalfields was developing rapidly and had become not only expensive but also stressful; as the large buildings went up around it somehow the light disappeared. I found myself pinning for open spaces and so we decided to go to South Wales , which Heather was familiar with, for a short break. That break has lasted until today – almost eleven years – for on a wet and windy May day we visited an Old Chapel in Solva which happened to be for sale and being sensible human beings we bought it! It is our home gallery in which there is a permanent exhibition: we both live and work in it and it is very much part of us.I exhibit regularly in other places and travel frequently. As an artist I need constant visual input to transmute into my work. One of these trips in 1999 was to Cuba with a BBC Wales crew from The Slate who filmed half in Solva and half there a documentary called A Long Journey Home. It was exciting but bewildering too to suddenly find myself back in Cuba after an eight year gap – a bit like waking up after a coma. Many of my friends and fellow artists had left Cuba or had died. It could never be the same again. I had become a British citizen early in the 90s and now I am that and will always live here. In Cuba art is part of community life and I would like to be part of that here. In December 2003/January 2004 St Davids Cathedral, 3 miles from our home, allowed me to hold a one man exhibition titled ‘The Passion’ of religious iconographic paintings and installations in St Marys Hall adjacent to the Cathedral itself. Several of the local schools bought parties of children along and it felt then as it used to in Cuba like art really being part of life here. Since then I have exhibited abroad but have also made a point of working within Wales for this is where I have found my home. Wales has changed the accent of my palette slightly and has allowed me the freedom to paint and be myself.